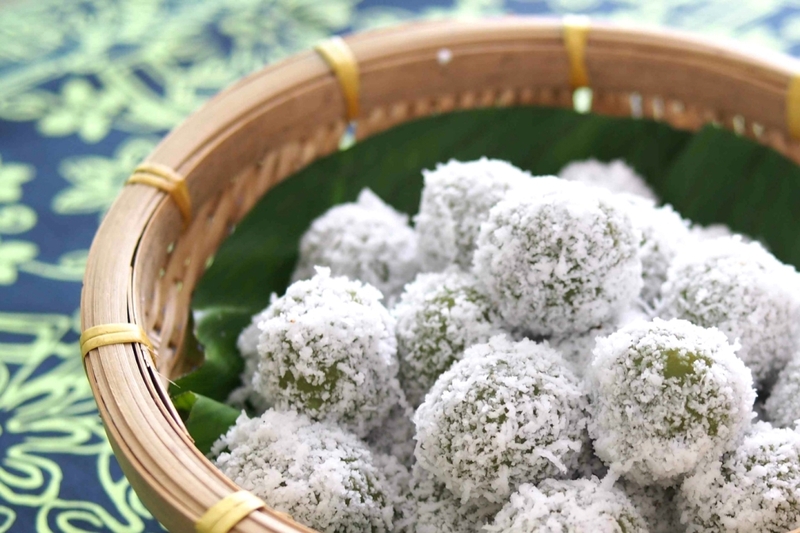 Onde-Onde are made from a combination of glutinous rice flour and pandan leaves (screwpine leaf) juice with a centre filled with palm sugar (gula Melaka). All this is rolled into truffle sized balls and coated with freshly grated coconut. 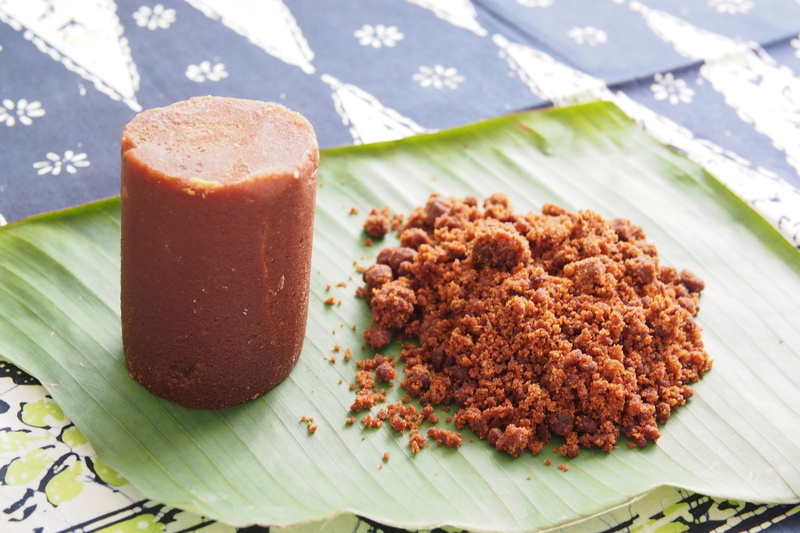 The melted palm sugar oozes sweetly in your mouth when you take a bite. Blend 15 Pandan leaves with 220 ml water. 1. In a large bowl, combine glutinous rice flour and pandan juice, kneading well to form a smooth dough. 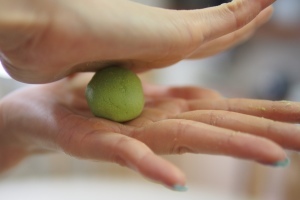 (a) Pinch off small balls of dough (about 15g) and roll it between your palms to form smooth balls. 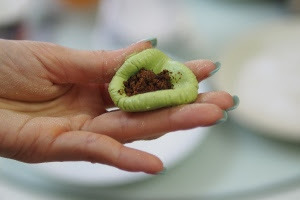 (c) Make a small well in the centre of the dough and fill with chopped palm sugar. ￼3. Bring a pot of water to the boil. Drop the balls into the boiling water until they floats to the top. 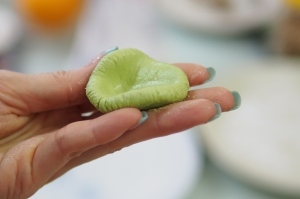 Once they float, let them boil for about two minutes, then scoop them out and drop into the bowl of ice water for a few seconds (this will keep them springy). Then take the balls out and drain. 4. Mix together the salt and coconut on a plate. 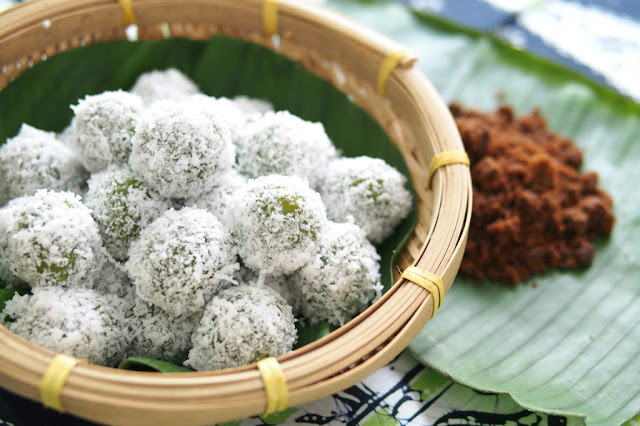 Coat the rice balls with grated coconut mixture and serve immediately. 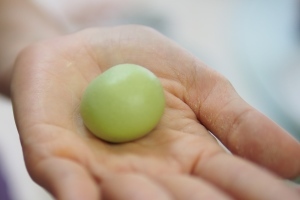 If you would like to keep them for longer, it would be best to store them in an airtight container in the fridge. Note: I used a dark brown sugar that I bought from Malay sundry shop here in Kuala Lumpur. I found the taste is better than the palm sugar. However, it is not easy to find. 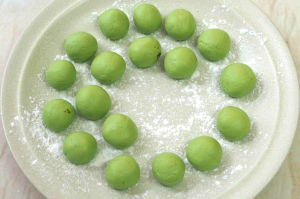 The onde-onde I made look a very dark green because I used a lot of pandan.